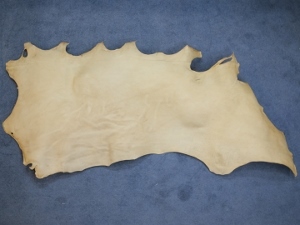 The cow and goat rawhide are very thick, but buffalo rawhide is the thickest at about 3mm. The reindeer rawhide is much thinner. The elk rawhide is thinner than the cow and goat, but not as thin as the reindeer.